Bethan and I travelled to Kenya for her 30th Birthday, we started the trip with a 3 night 4 day Pride of Tsavo Safari through Tsavo West and Tsavo East National Parks. Before we even landed, we were treated to spectacular views of Kilimanjaro from the plane. The first night on Safari, we stayed at the Kilaguni Serena Lodge in Tsavo West, this lodge is truly spectacular with fantastic facilities, a great restaurant looking out over the waterhole, and we were also lucky enough to have a room overlooking the water hole and so could watch the animals all night. From Kilaguni, we went on a game drive to the breath taking Mzima Springs to see hippopotamus and Crocodiles, this is a must for anyone going to Tsavo West. During the afternoon at Zwani, we had a walking safari down the river to see the larger crocodiles and 2 groups of hippopotamus, the first group were a bit grumpy, however the second group were relaxed so we could get much closer. There was also lots of other animals around, especially warthogs or ‘Pumba’s’ as our guide called them. In the evening, we were treated to a night safari, using a spotlight to see the animals. During this we managed to see a hippo out of the water walking for food, lots of elephants, giraffes and zebra, as well as a hyena, jackal and a tinny wild cat. 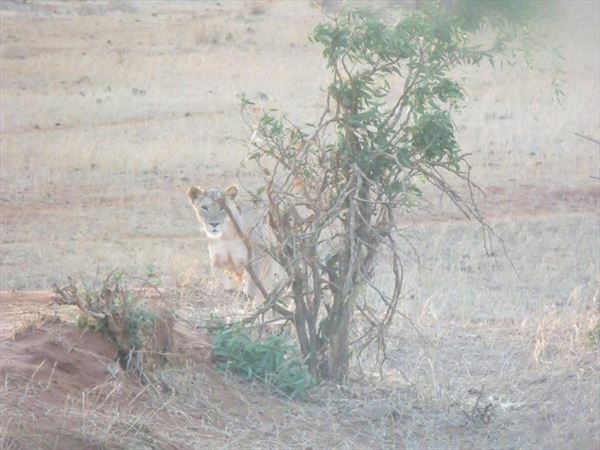 On the third day on Safari, we had a morning game drive before travelling to the Ngutuni Lodge in Tsavo East. During the morning’s game drive, we were taken to poacher look out at the top of a mountain, this spot is used by the park rangers to spot poachers. As we travelled through Tsavo West, we saw herds of wildebeest and buffalo as well as a troop of 13 elephants. 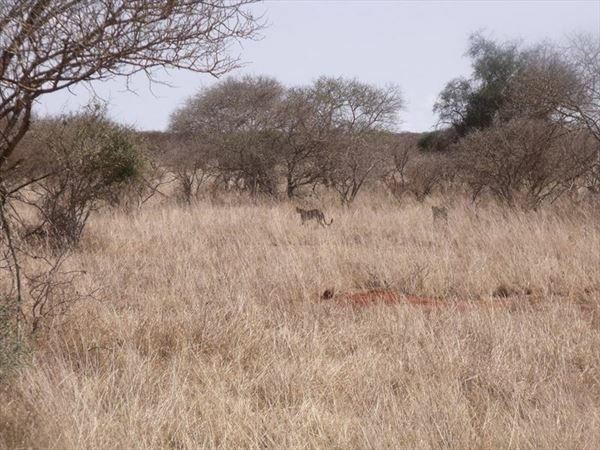 Then, after the game drive had finished and we travelled to Tsavo East, our guide noticed something, he took the vehicle off road and we saw 2 cheetahs on the hunt. During the afternoons, game drive we entered Tsavo East through the Vio Gate, as we travelled through the park, we saw where the elephants had dug down and broken the water pipes to create watering holes. We then came across a group of 5 lions sat on hill, basking in the sun. As we drove through the park, we saw 3 lions on the prowl. We had a final game drive before driving back to the beach hotel, where we spent the next 4 days. It was an unforgettable holiday and I couldn’t recommend this trip highly enough. 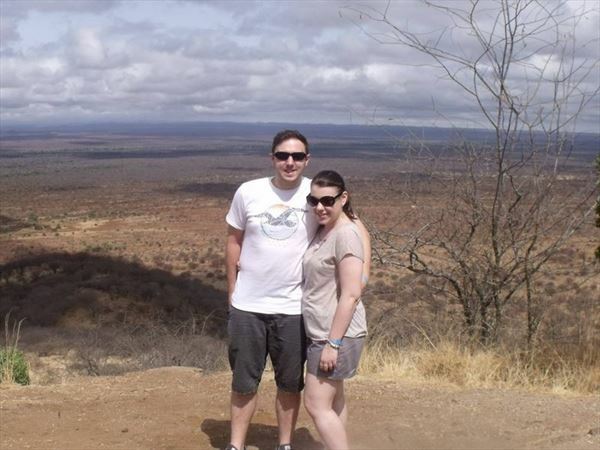 We would like to thank Richard & Bethan for sharing their story with us and hope to welcome you on another holiday soon..